A smoothing conditioner to smooth strengthen and soften hair; helping to give style control whilst improving shine and manageability. It helps to smooth hair control frizz and prevent colour fading softening the hair and adding shine. It improves hair manageability and gives style control. Gluten free proteins help to protect colour and strengthen hair. Recommended for frizzy unruly colour-treated hair. 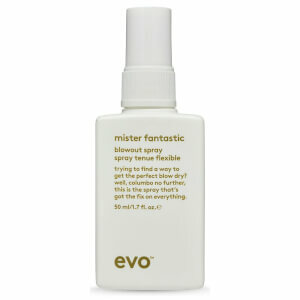 Check out an air dry tutorial from evo featuring their Mane Tamer Conditioner below.